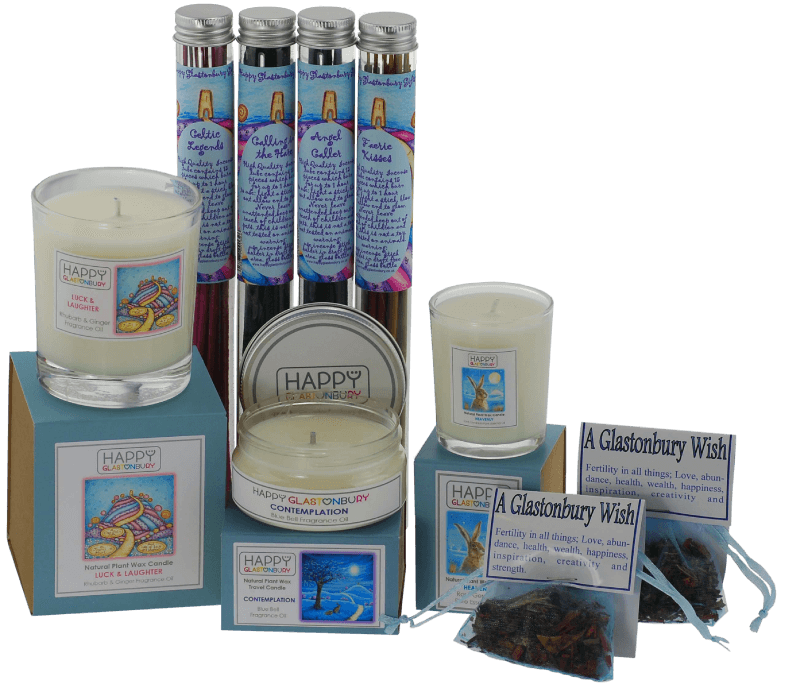 We love our Happy Glastonbury range of candles & incense. Our customers return time and time again to experience the blissful aromas of our candles & incense. The beautiful and uplifting fragrances are chosen by us and then handmade locally with the finest ingredients. They create a wonderful ambience allowing you to sit back, relax and enjoy. 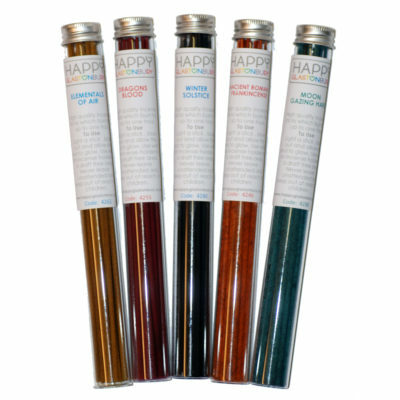 Allow our decadent collection of candles & incense to bring a new sense of happy to your home.